Well, yeah. 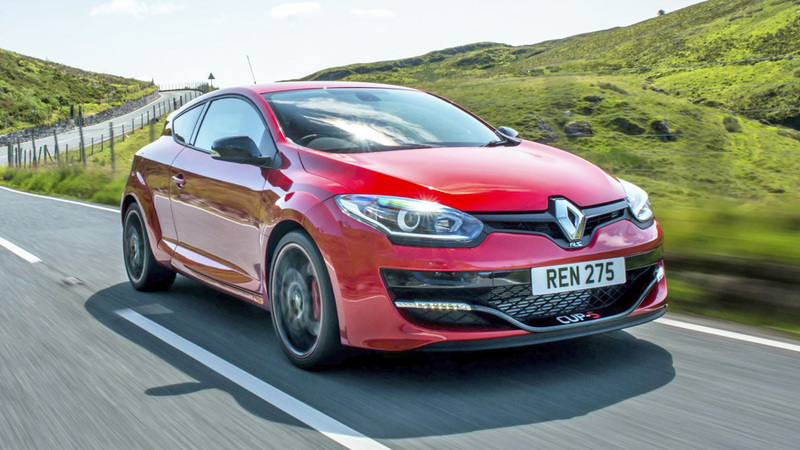 We’ve driven the all-new Renault Megane in its sensible guises. But the Renaultsport version is still well over a year away, and in the meantime, Renault has rejigged the range of the current RS. The result is this entry-level Megane 275 Cup-S, with a tantalising £23,935 price. That pegs it halfway between a Fiesta ST and Focus RS. The Focus RS that’s the best hot hatch on sale? Well, it’s not far off. But it’s also four-wheel drive and has nearly 350bhp, taking it far away from the humble roots of the hot hatchback. 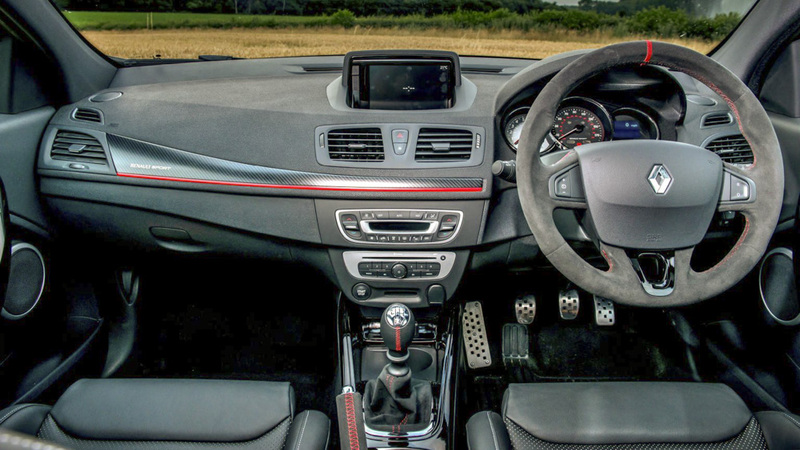 The Megane keeps it more traditional with front-wheel drive and a slightly more modest 271bhp. Though given it weighs 150 kilos less than the Focus, it’s nearly as swift. Its 0-100kmh time is 5.8 seconds, its top speed 255kmh. And in real life, away from the spec sheet? It tears along rapaciously, with a real, raw timbre to its exhaust note and its giddy pace interrupted only when you operate its lovely manual gearbox. Yep, no paddleshifting here. But this car isn’t about sheer speed. It’s about all the good sensations that driving a car quickly brings. This side of a Porsche, few (if any) roofed cars deliver those sensations as vividly. Yes. We’ll be honest, it’s not changed massively in those six years, gaining a little power every couple of years, and losing the odd bit of weight or offering some harder cored suspension every now and then. But in a car world obsessed with constant evolution, that’s no bad thing. It’s a reminder of how simple driving pleasure can make a car truly great. And proof that a great hot hatch doesn’t need four-wheel drive. There’s a mechanical limited-slip differential on the front axle, to aggressively pull you through corners, and one of the tautest, grippiest chassis’ of any car on sale. It’s a car that’ll welcome you if you’re a novice, yet satisfy you if you’re a pro. Its talents rise exponentially with yours. Is ‘taut’ another word for ‘really bloody firm’? Well spotted. This is a firmly suspended car, and it might feel a bit punishing through town. But as soon as you accelerate out of a 30kmh zone, and feel the way the car completely resists body roll, the way it communicates the road surface without being flustered by it, any occasional discomfort will all be worthwhile. Frequent urban commuting might be a pain, but like glimpsing the roll cage of your Cayman GT4 in the rear-view mirror as you reverse park it, think of the Megane’s ride as an ever-present reminder of the latent potential of the car you’re in. If it’s so good, why only £24k? Well. That’s the starting point. Truth is, buying a fast Megane is about as tricky as settling on a spec of Porsche 911, with so many options and chassis configurations on offer. 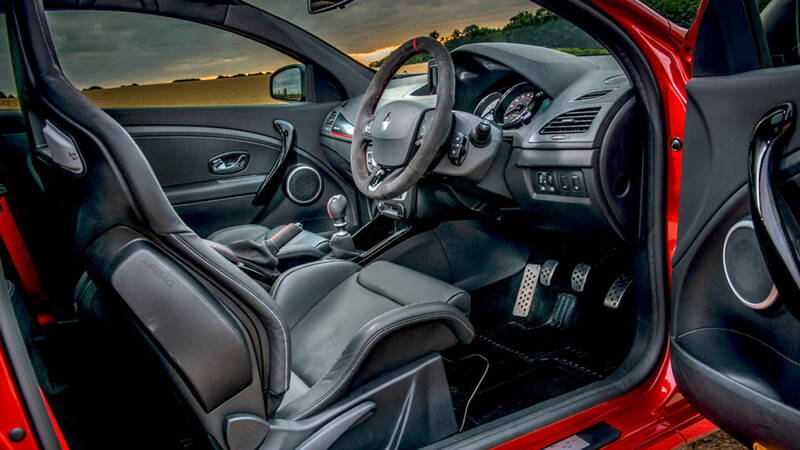 The further you open the wallet, the more of the lovely suspension, tyre and exhaust options from the Nürburgring-honed Megane 275 Trophy R you can have. So our test car came with an additional £8,500 of goodies, among them some adjustable Ohlins dampers (£2,000), a brilliantly raucous Akrapovic exhaust (£2,500) and some nigh on perfect leather-trimmed Recaro seats (£1,300). The Megane is ace without any of those bits, though. If you only plan to use it on the road, keep it simple, adding the exhaust if you’re feeling childish. If you’re a trackday fiend (the Megane is, as you might expect, superb on a circuit) then consider adding stickier tyres and spanner-able suspension. That Focus offers five doors, four-wheel drive and a sensible all-weather proposition with the occasional frivolity of ‘Drift Mode’. The Megane is raw, at all times, and doesn’t give you a simple button with which to uncover its finest handling tricks. You must learn that yourself. For some, that will make it the more exciting car by far. And one that after six years on sale, is still relevant. 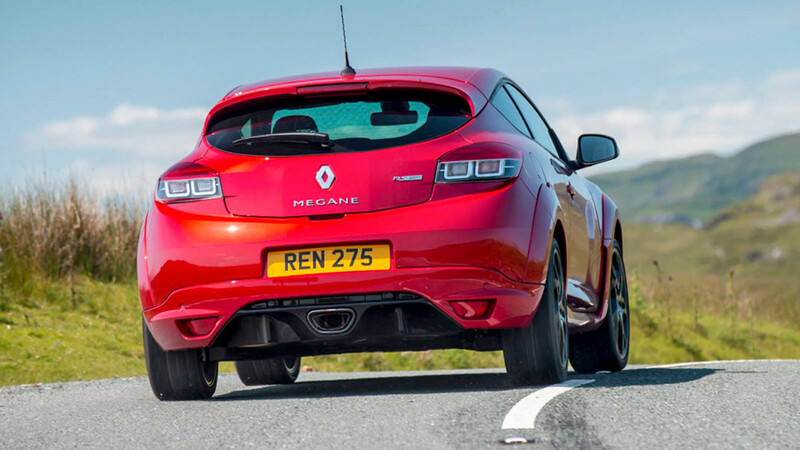 The next Renaultsport Megane has mighty shoes to fill.